Michael consults at both the Northern Clinic Glenfield, Auckland and Ascot Central, Remuera, Auckland. As Michael works exclusively in the private sector and with weekly theatre lists, he is able to provide expedited care for those who require fast action for relief of their symptoms. Michael sub-specialises in prostate cancer, bladder cancer, treatment of BPH, urinary flow issues, kidney/bladder stones and many other urological conditions. Michael is passionate about performing minimally invasive surgery with state-of-the-art technology. 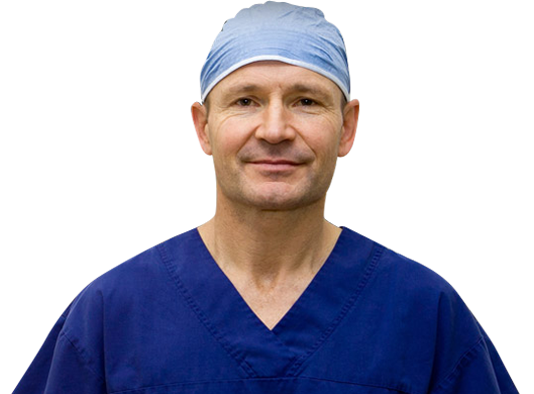 He has performed over 450 Robotic Assisted Laparoscopic Prostatectomy surgeries and 4000+ Laser prostate resection surgeries and is Auckland’s most experienced prostate surgeon. As a pioneer in minimally invasive urological surgery in New Zealand, Michael is able to offer excellent surgical results with minimal post-operative complication and side effects allowing his patients the opportunity to get back to their normal routines sooner after surgery. Prostate cancer is the most common form of cancer in men in New Zealand with approximately 2700 new diagnoses a year. A diagnosis of cancer can be an understandably difficult time for patients and choosing the right treatment option is a big decision. 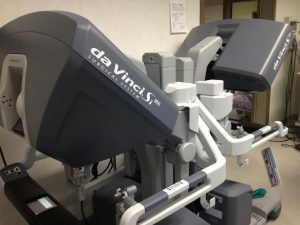 Robotic Assisted Laparoscopic Radical Prostatectomy is an excellent option for patients who need to have their prostate removed. Urinary frequency, urgency and nocturia should not be something men have to suffer through as they age. BPH is a very common occurrence in men where the prostate tissue grows in age and begins to impact the patient’s bladder function causing urinary frequency/urgent trips to the toilet, difficulty emptying the bladder fully, waking throughout the night to go to the toilet and/or blood associated with passing urine. The Northern Clinic Glenfield, Auckland and Ascot Central, Remuera, Auckland. 2018 Mike Mackey Ltd. All Rights Reserved. HealthPages | Website by: Cervin Media Ltd.